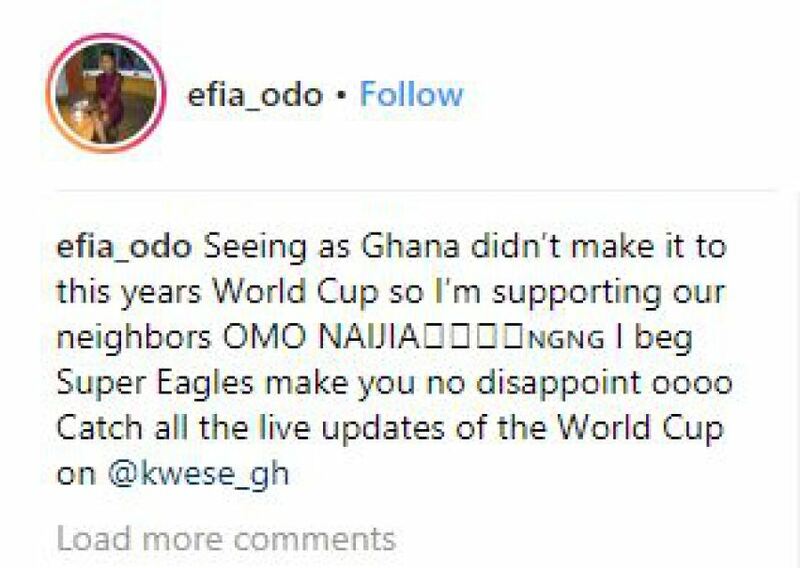 Since Ghana did not qualify for Russia 2018 World Cup, Efia Odo who is one of the biggest faces in the Ghanaian showbiz industry have pledged support to Nigerian Super Eagles at the World Cup in Russia. Efia has purchased the pricey Nigerian national team jersey which was designed for the World Cup in Russia. The sultry actress has tipped Nigeria for greatness in the absence of her country, Ghana as she is also mindful of disappointment.